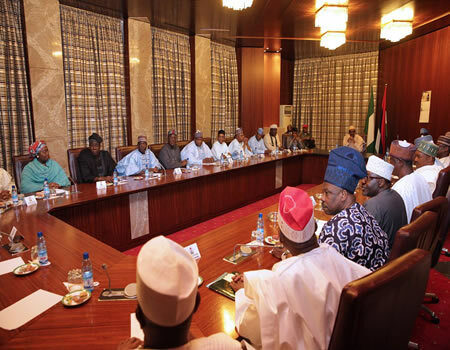 All Progressives Congress (APC) governors are currently in Birkin Kebbi, the capital city of Kebbi State to discuss the issue of restructuring. Sources who have the knowledge of meeting said the meeting which will kick off on Tuesday would be declared open by the acting president, Professor Yemi Osinbajo. It was conformed that the meeting to be held under the aegis of the Progressive Governors Forum (PGF) would receive a position paper on restructuring. The party recently set up a committee headed by the Kaduna state governor, Mallam Nasir el-Rufai, to deliberate on the knotty issue of restructuring. The restructuring agenda had, in recent times, split the country along the North-South divides. Voting on key elements of restructuring also got defeated in the National Assembly last week, when the lawmakers shut down the amendment to Land Use Act and devolution of power. The Senate and the House of Representatives shut down the two bills among others during the clause by clause voting last Wednesday and Thursday. Sources close to the PGF, however, said that the governors were set to receive the position paper on the key issue. “The PGF is converging on Kebbi from Monday for a meeting which will be declared open by Acting President Osinbajo Tuesday morning. “The governors are set to deliberate on key issues affecting the polity.They will also receive a position paper on the issue of restructuring and release a communique at the close of the meeting,” a source close to the meeting said. It was also gathered that the meeting would also deliberate on the planned national convention of the party which had been kept in abeyance following the prolonged absence of President Muhammadu Buhari. Another issue slated for debate, according to sources, was the growing discontent within the party with many of the state chapters of the party already soaked in crisis. On Sunday, hoodlums attacked two senators of Kaduna state who addressed a press conference to call attention to what they termed impunity in the running of the affairs of the state. Crisis has also erupted in the Rivers State chapter of the party, while Lagos, Kano and many other chapters of the party are also reeling in one form of crisis or the other. There has been confusion as to whether the party was willing to hold its national convention in the absence of the president,just as the composition of the party’s Board of Trustees (BoT) had also been kept in abeyance as a result of scheming and internal wrangling among stakeholders.